It’s not surprising that an Americana-obsessed filmmaker botched a history of the Vietnam War. National pride doesn’t mesh with the Empire’s lost war. 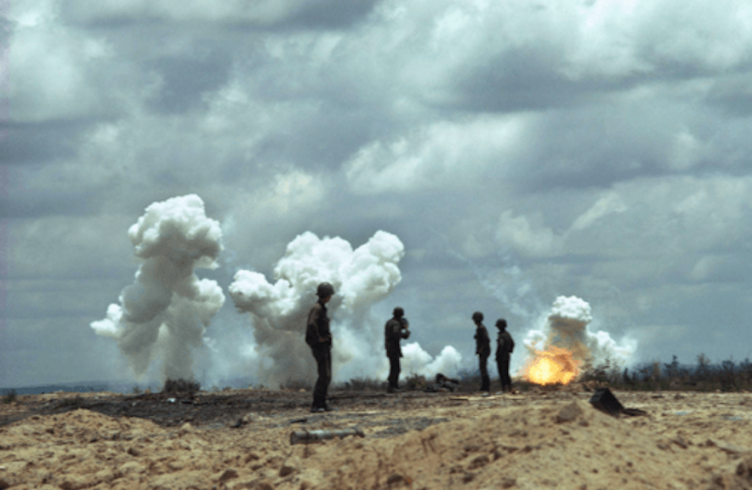 And though Ken Burns’ Vietnam is worth the watch for its footage alone, Vietnam war experts such as John Pilger and Nick Turse have offered blistering critiques that, when combined, allow for accusations of “whitewash” to be levied against the film. Why does Burns make such glaring mistakes of analysis? He did his best to be objective, but ultimately Burns made yet another film “about America” for an American audience, which colors the entire film in red, white and blue. But there’s also a deeper bias that further distorts the history he’s trying to tell. 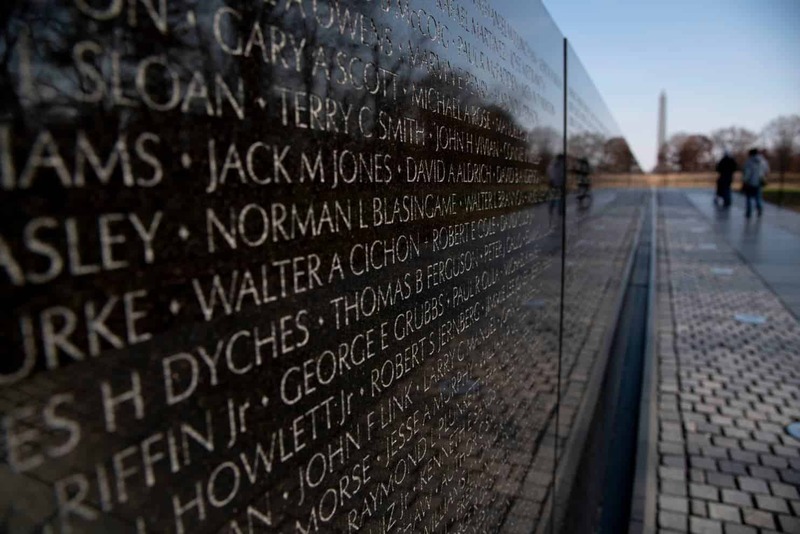 The Vietnam War is incomprehensible without understanding the complexities of the Cold War — that global geopolitical/ideological battle of capitalism versus socialism that dominated the 20th century, affecting every nation on earth. Burns grew up at the height of Cold War hysteria and seems to have projected a “team USA” (“team capitalism”) perspective into his “Vietnam.” As such, Burns also projects anti-socialist assumptions throughout the film, skewing the truth of the conflict in the process. This shocking comment is based on Burns’ bedrock premise: the war was in “good faith” because it was against Communism, which is “bad.” This Cold War assumption taints every episode of the documentary, preventing viewers from understanding the revolutionary struggle waged by the Vietnamese, while also minimizing and disparaging their historic victory. And because the U.S. war was “good intentioned,” excessive time is spent mourning the American perpetrators of the war while minimizing the utter devastation left to the surviving Vietnamese. It’s widely understood that “decent people” don’t commit genocide, while perpetrators of genocide are commonly labeled “war criminals,” or worse. When genocides of similar scale to Vietnam occur — such as the Jewish Holocaust — historians take careful time explaining the sheer scale of murder, providing ample examples of terror combined with personal stories of victims. Such detail is required to instill in the public a real understanding of the scale of the crime, which is difficult to fathom otherwise. Once the death toll reaches a million, the numbers become abstract and meaningless, requiring an in-depth exploration of its causes and consequences. To clarify the crime the perpetrators are not given platforms that justify actions or confuse events. The historical record demands that compassion be reserved for the victims. The Nuremberg trials defined the greatest war crime as war itself, specifically a “war of aggression,” since such wars create the conditions where further war crimes are inevitable. The U.S. war against Vietnam was a war of aggression, where nearly 3 million U.S. troops were ferried across the world to kill nearly 3 million Vietnamese in order to “defeat Communism,” i.e., to save capitalism. However, Burns doesn’t want to draw such harsh conclusions, in order to be fair to both sides, victim and perpetrator alike. 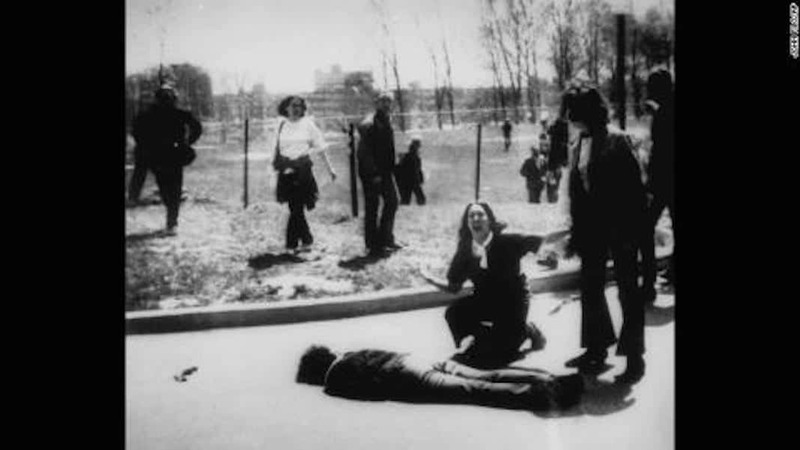 In his Vietnam compassion is generously spread from terrorized peasant to terrorist soldier, blurring the crime to the point where “both sides” are guilty of atrocities, so that nobody is held accountable. This criminal logic is only allowable if we presume U.S. troops were doing a “good” thing by “fighting Communism.” In so doing, Burns half forgives the perpetrators who are given lengthy interviews to earn repeated doses of empathy. In his film Burns allows U.S. troops to discuss, at length, how terrified they were of jungle skirmishes, while further sympathy is garnered by personal stories of U.S. heroism in the heat of nightmarish battle. No such heroes emerge from the Vietnamese side. Families of U.S. soldiers tell their story too, episode after episode; their pain becoming our pain. Our hearts are pried open while U.S. survivors burst into tears mourning at the Vietnam memorial. These stories push us into the arms of the perpetrators, while the Vietnamese fade from memory. U.S. soldiers who were duped into dying for nothing deserve our sympathy. As do U.S. soldiers who were drafted into a hellish warzone and forced to fight to survive. Such stories are important to understand the conflict, though in small doses so that the conflict isn’t confused. 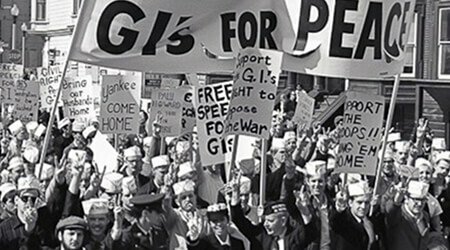 Giving 50 percent sympathy to U.S. troops and 50 percent to the Vietnamese terrorizes the truth of what happened; a subtle yet effective revision of history, and Burns’ sympathy ratio leans heavier in favor of the U.S. The only heroic U.S. soldiers were those who resisted the crime they were forced to participate in. Some of the best moments in Burn’s Vietnam are scenes of veterans telling their story of radicalization, when they realized the war was wrong and later took actions against it. Burns shows how the U.S. antiwar movement infected the military, causing a virtual mutiny documented in the film “Sir No Sir.” These are the U.S. voices we need listen to, and Burns’ Vietnam shines brightest when exploring the complicated relationship between the antiwar movement and the brewing insurgency from the drafted U.S. troops. Other hard-hitting scenes are where U.S. troops discuss the war crimes they perpetrated: from participating in gang rapes to massacring innocent civilians. The soldiers implied that such incidents were common occurrences. But because the soldiers are given excessive air time to describe their “war is hell” experience, we are pulled into the killer’s mind, and we sympathize. And thus we cannot understand that systematically targeting of civilians that killed 2 million civilians was one of history’s greatest war crimes. 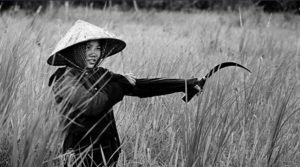 So why did so many civilians perish in Vietnam? Burns’ anti-Communism again prevents understanding. Why did people in a mostly-peasant nation risk their lives fighting — or directly supporting the fight — against history’s greatest war machine? Burns gives a partial answer, by explaining that the Vietnamese spent hundreds of years fighting foreign aggressors, from the Chinese, the French, to the Americans. The Vietnamese struggle against colonization, while crucial, is only half the story. The Communists won the hearts and minds of the peasant population in both North and South Vietnam by promising land reform, combined with other progressive “Communist” policies. The Vietnamese used revolutionary political agitation as effectively as their Kalashnikovs rifles. Burns’ film addresses the all-important issue of land reform in only one sentence, when he interviews the daughter of a “victim” of land reform (presumably her father was a village landlord). The implied conclusion that Burns forces onto his audience is land reform is “bad,” which further reinforces the ongoing theme in Burns’ film, that the Communists were inherently “bad,” and certainly not the freedom fighters that most of the world gave support to. By ignoring land reform, Burns prevents his audience from understanding why the peasant population wholeheartedly supported the revolution, guaranteeing the war was unwinnable for the United States. The greatest military on earth could not defeat the 90 percent of the population who were peasants. Knowing the peasantry was against them, the United States “collectively punished” them — one of the greatest war crimes. Burns’ film shows footage of the U.S. military torching whole villages, bombing villages, “relocating” whole villages and ruining surrounding agriculture to starve fighters of possible assistance. The U.S. war was against 90 percent of the population, not roving bands of Vietcong fighters as Burns implied. The many massacres committed by U.S. troops such as the infamous My Lai massacre were logical extensions of the daily war against the peasants. Burns also quickly touches on the “Phoenix Program,” which was a program of systematic death squads that targeted and killed tens of thousands of civilians. But the term “death squads” isn’t used by Burns, and thus the crime is minimized. The U.S. military could not compete with the revolutionary socialist politics of the Communists, who successfully used similar tactics to win revolutions against colonizers throughout Africa, Asia, and Latin America. Did the Vietnamese Die for Nothing? The last episode of Burns’ film is ferociously anti Communist, leading to malicious and ahistorical conclusions. After the U.S. surrendered Vietnam to the Communists, Burns showcases none of the jubilation felt by the vast majority of the population, who spent 30 years and millions of lives defeating the French and U.S. militaries. 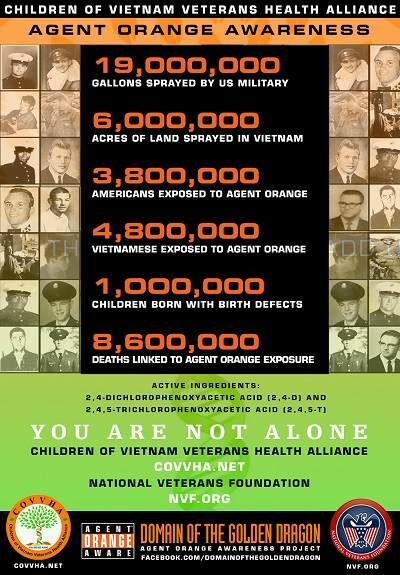 Communist economic policies did not ruin Vietnam; U.S. bombs did, transforming the nation into a smoldering mound of rubble drenched in the defoliant chemical Agent Orange, with obliterated infrastructure and an entire generation of “human capital” killed or maimed. During the war the currency of the South Vietnam was kept afloat by U.S. intervention, and allowed to crash after the U.S. was driven out. It wasn’t “capitalism” that kept South Vietnam afloat, but the billions of war dollars pumped into the region, guzzled up by local war-profiteers. A sizable chunk of the war economy was the service sector, which pandered to the paychecks of soldiers on leave. When the war money left, the economy was sunk, drowned further by wealthy Vietnamese fleeing with suitcases full of cash. The economic hell the U.S. left behind is ignored as Burns attempts to blame “Communism” for Vietnam’s post war troubles. This narrative conveniently helps absolve the U.S. of the full extent of its crime. Another appalling yet subtle way Burns undermines the victory of the Vietnamese is by mentioning, briefly, the war between Vietnam and Cambodia that erupted after the U.S. surrendered. By not explaining the origins of the Vietnamese-Cambodian conflict, Burns implies the war was a senseless bloodletting, performed by a Communist government unfit to rule. Burns fails to mention that the Vietnamese invasion of Cambodia is perhaps one of history’s very few legitimate “humanitarian interventions,” where the Vietnamese Communists overthrew the genocidal Khmer Rouge government of Pol Pot. Vietnam invaded Cambodia after the Khmer Rouge repeatedly attacked Vietnam and killed tens of thousands. President Reagan also supported the Khmer Rouge-dominated guerrillas, and thus Cambodia became a proxy war between the United States and Vietnam, adding further punishment to the Vietnamese for their war victory, while forcing the Vietnamese to put more resources into their military and away from economic development. The Vietnam War was a direct product of the Cold War, and thus cannot be told from a purely American/capitalist perspective, as Burns has unwittingly done. In the name of “fighting Communism” the U.S. government committed back-to-back genocides in Korea and Vietnam; a combined tragedy that matches the Jewish Holocaust. Millions of people were killed and two nations destroyed in order to “prove” that Communism doesn’t work. And sure enough, the ruined, smoldering nations left behind struggled for years after, receiving none of the reconstruction spending given to post WWII Europe. The merits of the Vietnamese version of “socialism” should be debated, but Burns allows no room for debate, since to him socialism is “bad.” However, Vietnamese socialism, while imperfect, allowed the nation to recover from obliteration and actually develop independently, and now the “mixed economy” performs better than most of the world, while overall Vietnam is a larger economy than several of its neighbors. 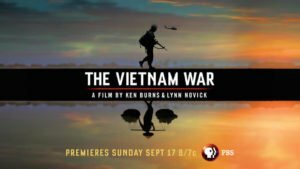 Even with the above blemishes Burns’ film will be a valuable resource to active duty soldiers, who will find endless similarities between Vietnam and the lie-based, unwinnable wars they are fighting in the Middle East. Seeing veterans discuss their evolution from obedient soldier to war protestor will have its effect, while watching the lies coming down from president after president in the face of mass killing cannot project faith in the American military project. The international situation today demands that a new antiwar movement emerge that links arms with the active-duty troops unwilling to simply follow orders.